There are specific areas of the United States, where quite frankly, if you are not prepared for a tornado strike, then you are taking unnecessary, and some people would say irresponsible risks. However, just because you do not live in one of these zones that does not mean that you should be prepared and aware of what to do should disaster strike. A lack of planning and preparation will be magnified tenfold if and when disaster does strike, and when you consider how little time and effort needs to go into any families emergency planning preparations, there is very little excuse to be caught out. Although it may be true that the United States is the most technologically advanced country in the world, if Mother Nature decides to unleash her fury on our country, then it is a question of battening down the hatches and praying for mercy. Always plan for the worst and hope for the best. By focusing on the worst, anything else is always going to be a bonus, so in the first instance, it is essential to have a team of local experts on call that can and will respond quickly to deal with whatever the situation is. In many instances that is why it is better to deal with a locally based business rather than a national company, whose resources may be dragged to other areas depending on the size of the problem. Your plan should be well thought out, stored on both paper and digitally, and every adult in the property should have a full and in-depth understanding of it, just in case. 1 Check For Injuries – Sometimes people can be in such shock that they forget to check themselves or their loved ones for injuries, so desperate are they to escape the devastation. If someone is seriously injured, it may be prudent not to move them, but to call for emergency help. 2 Never Enter A Damaged Building – Although it may be tempting to run into your property to salvage specific items, no item is worth losing your life for, once you are out of the property, stay out until the authorities give you the all clear to enter. 3 Where Possible Turn Off All Amenities – Again this advice is only on the proviso that you are not putting yourself in danger, but where possible, turn off the electricity, gas, and water. 4 Check Power and Gas Lines – Although it will be tempting to focus on your property, don’t ignore the electricity and gas lines, which could potentially contribute to a second disaster. If you notice any damage to power or gas lines, then report them to the appropriate authorities. 5 Is There A Smell Of Gas – If You Small Gas Call The Fire Brigade and the Gas company and get out of the property immediately. 6 Use Professional Disaster Recovery Services – Unfortunately, when disaster strikes certain salubrious companies will try to take advantage. Always ensure that you only deal with well-established companies who have a good reputation. 7 Take The Advice Of The Professionals Seriously – Although it might be tempting to cut corners, to try and save some money, follow the advice of the experts. Use the recommended reinforcements, to help prevent disaster happening a second time. 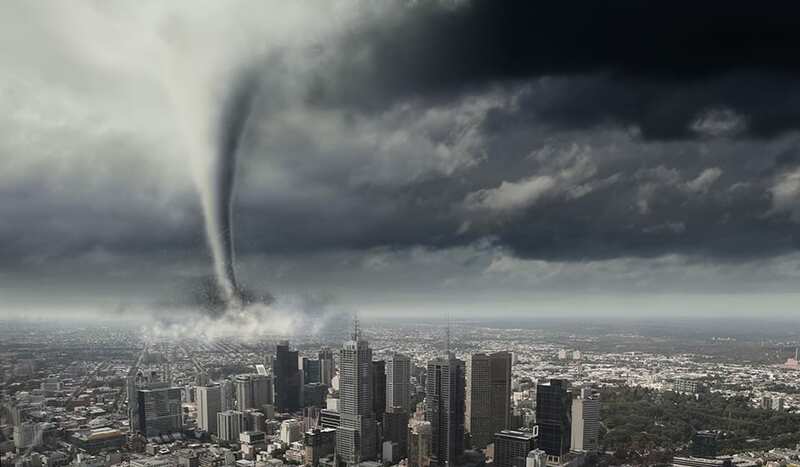 8 Have Electricity, Gas, and Water Services Professionally Checked – It might seem that your amenities have not suffered any damage during a tornado, and as a consequence, it can be very tempting to merely reconnect and get things back to normal as quickly as possible. However, not all damage will be visible to the human eye, so however tempting, get everything checked before reconnecting anything. This may seem like quite a lengthy list, and without it being written down, the chances of you remembering everything when you are tired, emotionally and physically are probably zero. All of the above points, however, are critical, which is why is it worth saving this list to your cell phone, so that you have something to work through. This might actually assist with keeping calm because when people have something to focus on, it takes their mind off the havoc and destruction that has taken place all around them. As we write this article it is our sincere hope that anyone reading it, never has to experience the heartbreak and devastation that a tornado can wreak, but if it does happen, we can only hope that the damage will be minimal and that the advice provided here will help keep you and your loved ones safe.